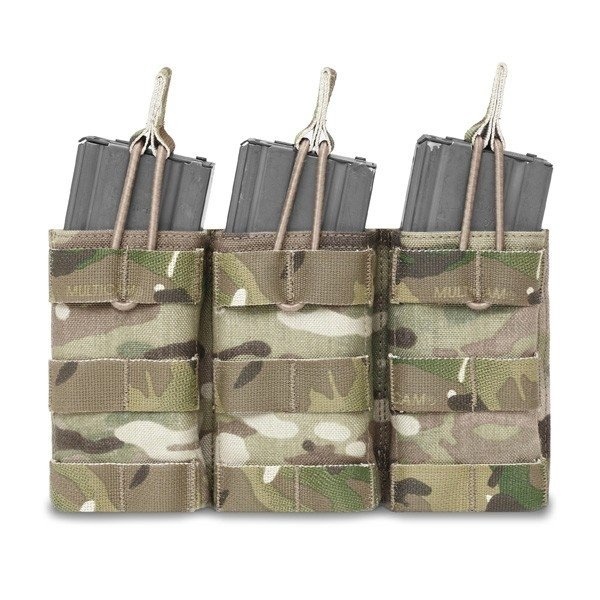 Warriors Triple Open Mag pouch holds 3 x 5.56mm mags in a compact panel configuration. The Triple Open Mag uses the MOLLE system to attach to any compatible rig, vest or belt. It can also be used on Warrior packs and bags, for example the Warrior Grab Bag and takes up 6 horizontal rows of MOLLE.